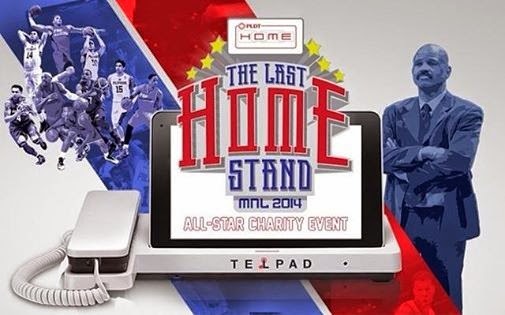 Manila,Philippines - PLDT has released statement on the cancelled The Last Home Stand basketball event between Gilas Pilipinas and the Fibr All-Stars scheduled on July 22-23, 2014 at the Smart Araneta Coliseum. "We wish to apologize to our Filipino basketball fans for the sudden and disappointing turn of events today. We ourselves are extremely disappointed by this unexpected development. All we wanted was to give our Filipino basketball fans a real treat while at the same time, through this benefit event, help our countrymen who are still recovering from Supertyphoon Yolanda and more recently Typhoon Glenda," PLDT Chairman Manuel V. Pangilinan said. Last Tuesday night, thousands of basketball fans left the Big Dome fuming and disappointed after the organizers cancelled the NBA stars-Gilas Pilipinas game. PLDT Executive Vice President Ariel Fermin assured ticket holders for the events will be refunded in full in an expeditious manner. Fermin said those seeking a refund may send the following information: 1) Full name; 2) ticket number; 3) contact number; and 4) email address either by text message to 0919 614 0865 or email to RefundIGW@gmail.com. Fermin said that the agreement with the event organizer, IGW -- whose role it was to arrange the participation of the NBA players -- provided for a format involving a basketball clinic followed by a 5-on-5 game between Gilas Pilipinas and the Fibr All-Stars. However, PLDT was informed by IGW a few hours before the event on Tuesday that the 5-on-5 game was, as advised by IGW to PLDT, not allowed by the NBA. Ticket holders who purchased seats from Ticketnet can proceed to the Ticketnet Box Office located at the Yellow Gate, of Araneta Coliseum, starting July 24 from 10:00 a.m. to 8:00 p.m. daily. They will be asked to surrender the physical ticket and provide their name to immediately claim the cash refund. Those who purchased from Ticketnet Online (www.ticketnet.com.ph), there's no need to go to the Araneta Coliseum for the refund. Their online payment will be reversed on their credit card.